With all the tv choices available to our children to watch it is nice to come across a few that encourage reading in our little ones. 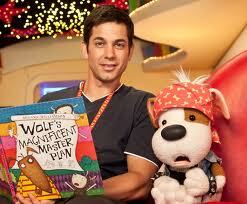 Of course for us in Australia Play School has always had a story-time so this is really nothing new. There are a couple of shows though that really appeal to me in this way. 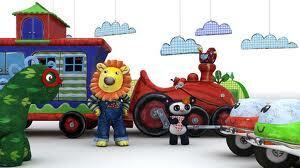 One is Driver Dan’s Story Train – a show where Driver Dan and his friends solve puzzles, play games and read books. What I particularly like about this show is that after the story has been read he asks what your favourite bit of the story was, this encourages interaction and better listening skills. Also this portrays story-time as something that can be shared. My favourite though, without question is Bookaboo. 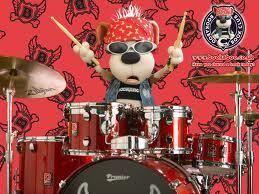 Bookaboo is the best puppy rock drummer in the world but Bookaboo has a thing – if he doesn’t get a story he won’t drum. His catch phrase is ‘a story a day or I just can’t play’. This appeals to me on several levels partly the music aspect, a lot of kids love music and even as young ones, dream of being in a rock band. 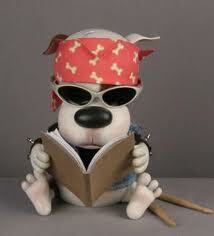 The other thing is Bookaboo gets visited by celebrities of various levels who come and read him a story. Some of the celebrities have been: Adam Garcia, Robson Green, Mel C, Johnny Vegas, Meatloaf, Lethal Bizzle, and Amanda Holden. The pictures from the actual books are given slight animation giving the story reading a bit more visual appeal for youngsters so used to that kind of stimulation. Bookaboo is also a BAFTA winning show. Both these sites have activities and further information about the books.